I was at a “Developmental Designs” (DD) training this last week at the Middle School (for those that don’t know, I teach 8th grade physical science). After having been out of school for the summer for about 2 weeks prior to the training, I forgot how much I enjoy summer break and how easy it is to fall into a routine that doesn’t involve thinking about and planning for school. The training involved a LOT of thinking and homework after the day long sessions, so by the end of the day, I needed a mental break. Monday evening, I taught TRX after having been in the DD training from 8-3 and then finishing up the homework that was assigned by about 5 pm. By the time bedtime rolled around, I was exhausted. I did get up Tuesday morning for a run before heading back to the DD training at school, but I was mentally drained all day long. I tweaked my left knee a bit at some point (not sure if it was teaching TRX Monday evening or on the run Tuesday morning) and it was rather tender, so I decided to take Wednesday completely off of working out. Thursday I went on a short 2 mile run with a colleague who is just getting into running and Friday we completed 2.5 miles. Saturday I ran 9.5 miles, went and picked fresh strawberries at our local Berry Patch, went to lunch with my husband, got a new pair of non-running shoes (that RARELY happens), took a nap, took the dogs to the lake for a swim, worked in the kitchen prepping food and read part of a book before heading to bed for the evening…what a GREAT day!! I did still have some knee twinges, so I was apprehensive for Sunday’s workout. 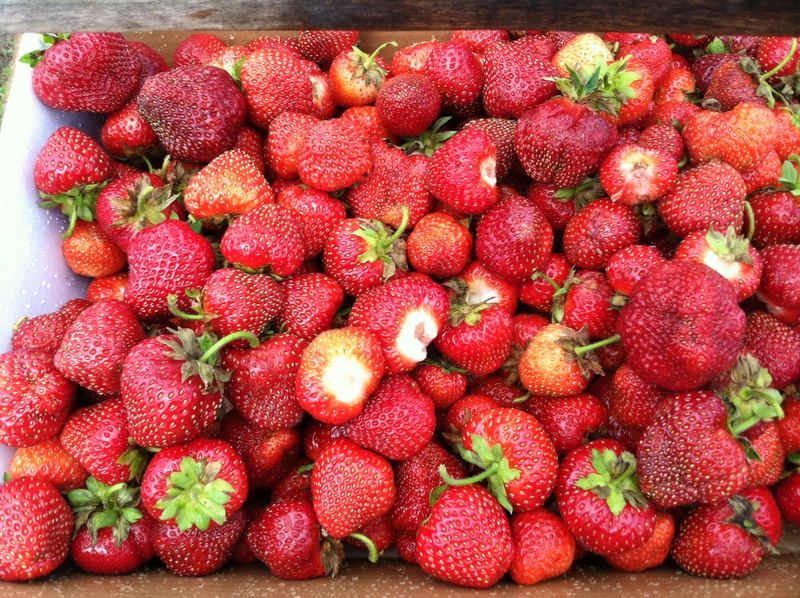 Our Strawberries from the Berry Patch…YUMMY!! 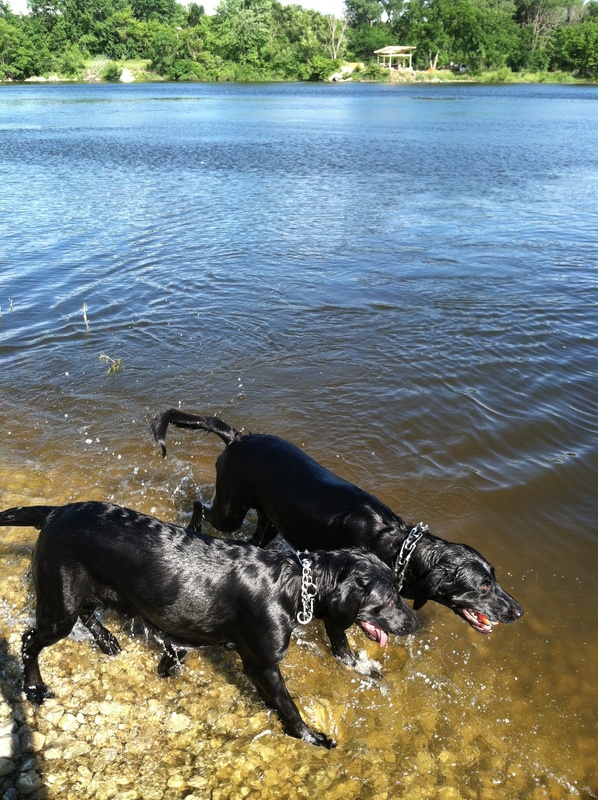 The dogs loving the water on a beautiful day!! I am looking forward to a much more productive workout week this coming week! !